this is a late and quick post. Today I will share with you my Valentine's day mani. Generally I am not a big fan of the day as both my darling and me feel that when you love someone you need to show it and celebrate it everyday and not just once a year. But I did a quick mani anyway. The base was I love my jeans by Essence, with a coat of NfuOh 48 on top and some heart shaped nail decals. Quick and easy. It came out cute but didn't even last 12 hours :o (please excuse the smudging on the pics, I didn't have time to do proper clean up). On another note I would like to apologise for not being so active with blogging but February is being really insane and things are not expected to calm down before the beginning of March. I am quite behind on my reading and commenting but I try to catch up as often as I can. I am flying out to lovely Budapest in a few hours and will try to blog from there too but I have a couple of scheduled posts coming up that I hope you enjoy (hope they work this time). Waaah your mani is vampy yet still so gorgeous and girlie! 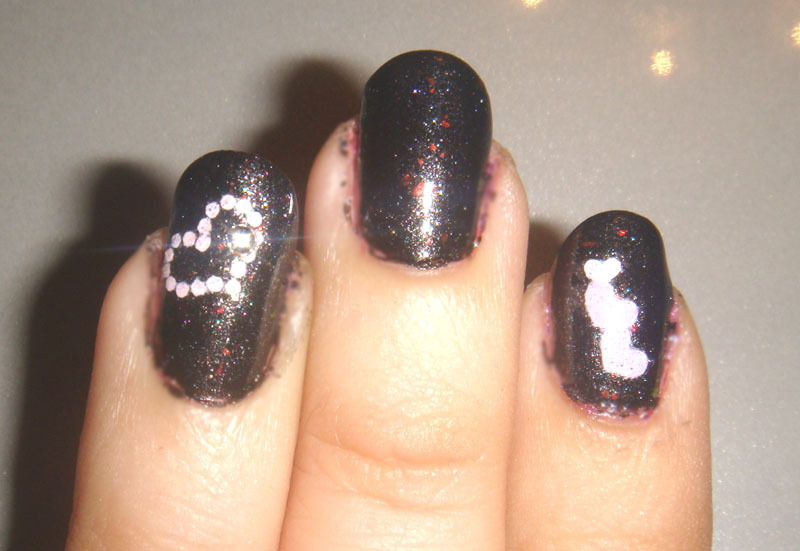 Love it =D Nail decals are so great to use for quick nail art and they look so fantastic! So gorgeous! !Hearts decor so sweet hun!!Muah! 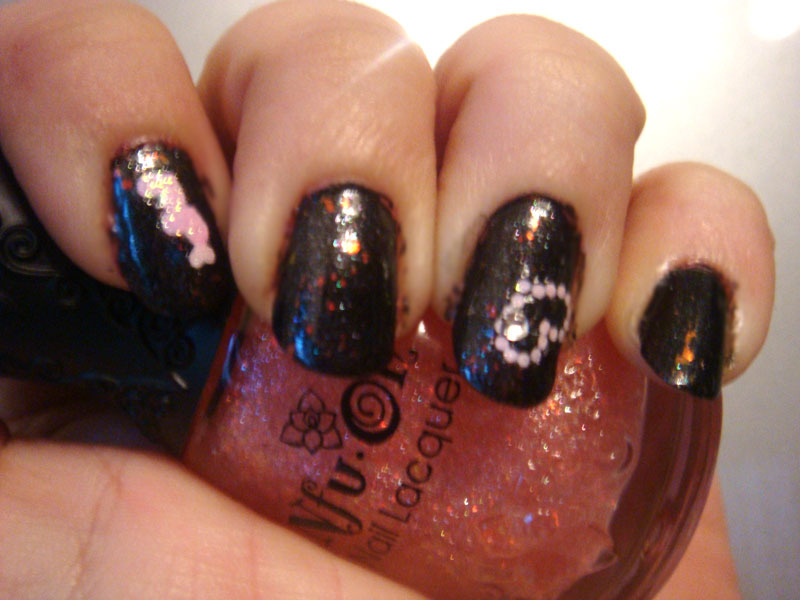 Lovely mani and easy too! Have a great trip to Budapest!! !